Winter Weather Outlook: Could we see more snow this year? We've had below-average snowfall for the last two years... So what does the winter of 2018-2019 have in store for East Tennessee? Knoxville — Above-average temperatures helped to keep our snowfall totals to a minimum for the last two winters. Although we did see some wintry weather, the warm ground temperatures prevented the snow from sticking around for very long. One factor that could have an impact on our winter this year is the developing El Niño in the Pacific Ocean. El Niño is an ocean-atmosphere climate interaction that is linked to periodic warming in sea surface temperatures in the central and eastern equatorial Pacific. This large-scale climate pattern can affect weather conditions across the United States... But it's not the only factor that can influence the forecast for East Tennessee. There are also climate patterns that take place across the Atlantic Ocean that we will be watching throughout the winter season. Unfortunately, these are not predictable more than two weeks in advance. 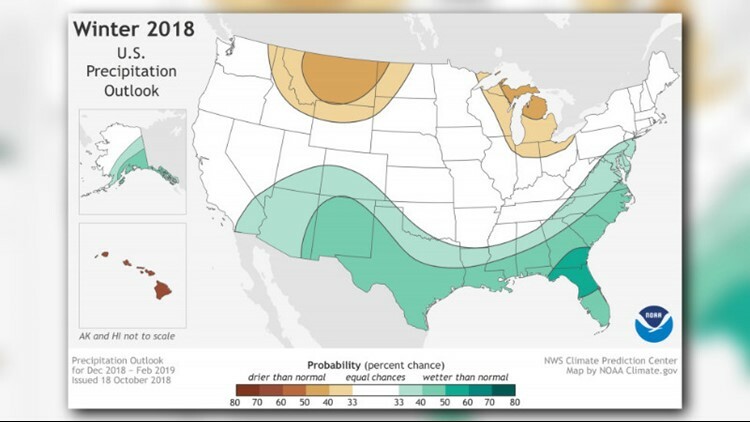 So back to our forecast... During an El Niño, the southern branch of the jet stream tends to be more active across the southern U.S. which allows for more chances of precipitation. 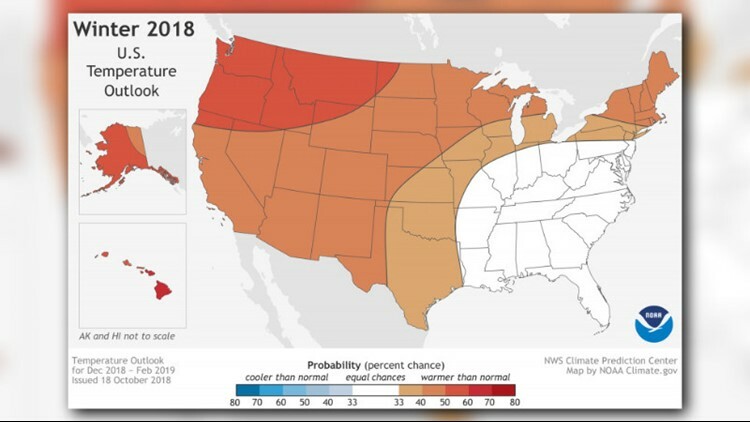 The National Oceanic and Atmospheric Administration (NOAA) is calling for low chances of wetter-than-normal conditions across our region. Whether that precipitation falls in the form of rain or snow all depends on the air temperature. But the higher frequency of precipitation can mean higher chances for wintry weather. Our temperatures are expected be about average through the winter season. We will likely have periods of cold temperatures (it is winter after all) so with those above-average precipitation chances, we are expecting near average snowfall this season. The most favored time for snow is expected to be from January into mid-February but we often see our snow chances extend into March just before the arrival of Spring. So, a near average winter season is expected for both temperature and snowfall. But keep in mind amounts can sometimes vary widely from point-to-point within the same region. The key is to be prepared and stay alert when snow is in the forecast.